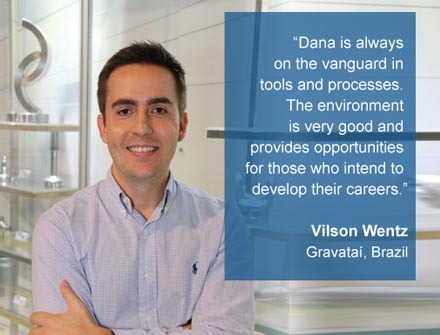 Dana offers unique and fulfilling career paths spanning different functional disciplines around the world. Where will you begin your journey? Every day our corporate team in Maumee, Ohio, USA, provides support to create a high-performance culture where our employees are highly engaged and leaders are cultivated. We are committed to professionalism, as well as global solutions infused with local expertise. We combine our collective abilities and work together as One Dana. Together, we celebrate successes and approach our work with enthusiasm and dedication. We are a global technology leader in efficient power conveyance and energy-management solutions. Our engineers anticipate industry trends to provide superior, market-driven innovations, value, and quality in every technology. Our market-leading commitment to research and development spans all the vehicle markets we serve, and it enables us to offer our customers unmatched skill and expertise. Serve on the front line of production and immerse yourself in customer markets, technologies, and cultures every day. In our production, we support an unwavering commitment to quality and safety, and have access to technological expertise wherever it resides in the world. 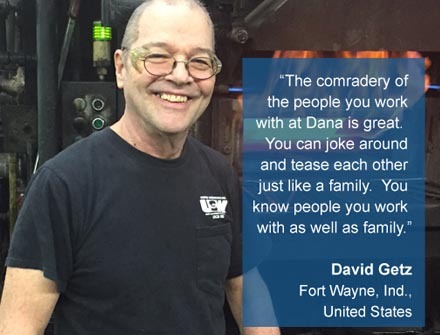 Dana is recognized for superior performance in product quality and customer satisfaction.